You will have to download two files. 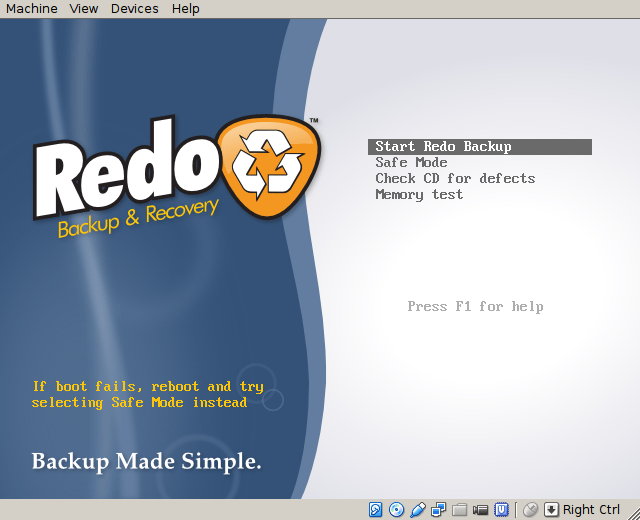 One is live CD called Redobackup that will preform the installation. The other file is actual AP-Linux image. If you find any errors or difficulties, please leave a comment at the end of this document or notify us at info@ap-linux.com. 1. Entire hard disk. Forget side to side installation with windows. It can be done but it’s out of the scope of this document. 4. 64-bit intel or AMD CPU. DISCLAIMER! This installation can ERASE all your data if you don’t know what you are doing. We are not responsible for any of your data or hair loss. 3. Prepare your PC for booting from CD/DVD ROM. Maybe your PC is already configured like that. If it doesn’t boot from CDROM, go to BIOS and find an option that says something like “Boot order” and select CD/DVD for first boot device, and second device Hard Disk. Save the BIOS options and exit. Now installer DVD should boot from DVD ROM. 4. Prepare new, blank or some old hard disk drive on which you want to install AP-Linux. You can’t upgrade from previous version. Remember, installation will erase everything on this disk. 5. Insert the Redobackup CD in DVD/CD rom and boot the PC. Also connect USB stick with extracted image of AP-Linux. After successful boot, you should see this screen. First we will need to erase everything on installation hard disk drive. If you are using new blank disk, you can skip this step. Open Disk tools -> Disk Utility Select drive you wish to install AP-Linux and erase everything on it. After successful erasing, your disk should look like this. Close Disk Utility and return to the first screen. Choose “Restore”. Select source drive. Your source drive is where you have extracted AP-Linux.zip image. Our appears as Drive 2 Part 2 which means: disk2 partition 2. Our AP-Linux image is on the second partition of disk2. (160GB disk on the picture above) We have picked this partition for source. Your will probably be different and you will have windows partitions. 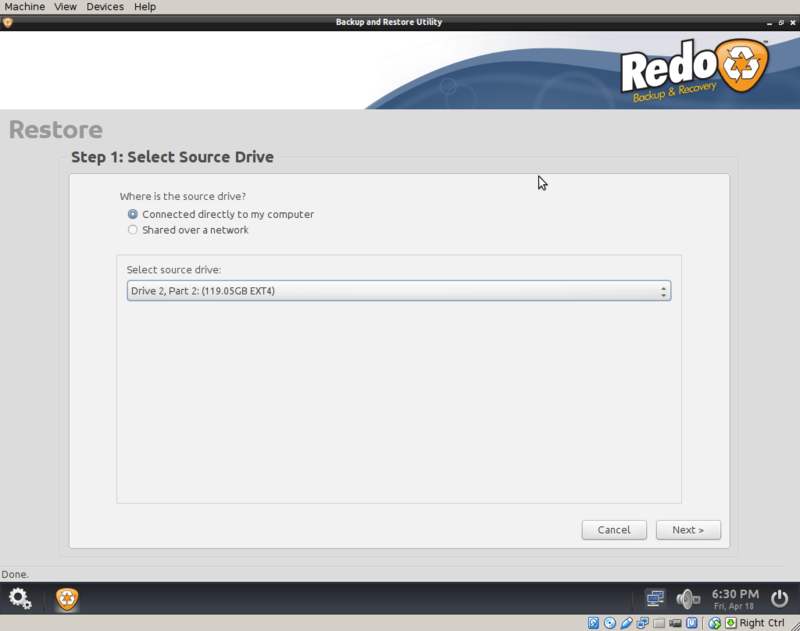 Ok, now choose your source drive with AP-Linux installation, navigate to the image and click open. Select destination drive. In our example, we will install AP-Linux on Drive 1 (/dev/sda). Installation will use entire disk so you can’t choose partitions here. Remember that you have to be careful selecting the right drive because installation will wipe everything on that drive. When it’s finished, we need to create partition for music storage. Once again open Disk Tools -> Disk Utility. You music storage can be on the same disk where you installed AP-Linux. Or it can be on some other disk. Chose your disk and partition. In this example we will use the same disk where we have installed AP-Linux (/dev/sda). You will see free space. Click on it and click “Create Partition”. Choose ext4. Click on the first partition and mount it. Find line that starts with /dev/sdb1 /storage. Replace sdb1 with sda3. (Or where you have created your storage partition). Save file and exit editor. Reboot, remove the CD and you should boot new AP-Linux and login automatically. But we have to do one more thing. After successful install and reboot, right click on empty desktop space and select X-Terminal. After ‘su’ you will be asked for password. Password is ‘muser’. Replace Europe/Zagreb with your time zone. You can find cities and time zones in /usr/share/zoneinfo/ directory. At the end, copy music that you want to listen to /storage/Music directory. And that’s it. Congratulations! Next, you can choose to play music with Deadbeef player, or you can enjoy MPD. The best music player daemon on the planet. Installation instructions on disk 2. Upon boot, you will have to tell your PC to boot from second disk. This can be done on startup or in BIOS. But some motherboards don’t support this. If that’s the case, you will have to install AP-Linux on Disk1. Open terminal and become root. You need to know your SSID and password. Your SSID and password will be stored so you don’t need to repeat these steps next time you reboot. You will only need to become root and enter ‘dhcpcd wlan0’. You didn’t erase disk before installation like it says in documentation. I did. But I guess I will start again from scratch unless there is a way to fix it you know of. Did it again and all good now. I am experiencing the same issue. I’ve re-done this now 4 times. It’s done exactly like in the instructions. Confirmed hardware is compatible (intel 64 bit processor, 2GB RAM, 64GB SSD, etc.). Everything goes perfectly. When I reboot, it gives the menu prompt for Audiophile LInux, HDT (Hardware Detection Tool), etc. doesn’t matter… same results each time…. You didn’t install AP-Linux on first disk. If you have install it on second disk (/dev/sdb) then you will have to change /etc/fstab and /boot/syslinux/syslinux.cfg configurations to be able to boot. Yes I did, I have only one hdd plugged in sata1 and dvd-rom is ide. I have everything the same like shown on the pictures, in manager I can see that it is sda1..
I’ve concluded basic installation but now when using Terminal X I need German keyboard settings. When I type ‘-‘ I get ‘/’ at the moment so I cannot proceed with configurations. Is there a way to solve this problem easily? Can’t wait listening to AP Linux! Root password is ‘muser’. Then you have to unlock system with ‘mount -o remount,rw /’ command. It’s at the end of this document. We tried to contact M2Tech company several times, but they didn’t respond to our emails. So we decided not to provide any help or support for M2Tech products. Maybe this will change in the future, but for now, you should ask them for help. Sorry. Hi mierota! Thank you for your immediate response. Friday I should have time to try everything. Thanks again. During workaround with Redo Backup I do only see 2 lines in fstab under etc. Is the SSD the problem? Should I use a HDD? One more thing: Is there a compatibility list for wifi dongles? I’ve tried 3 different, without success. And last: What is the difference between mirror1 and 2 in the download section? You are trying to edit wrong fstab file :-). You are probably trying /etc/fstab of Redobackup Live system. You should edit /media/7s336d8b-or-whatever/etc/fstab. The fstab of the mounted disk. Look at the picture. Mirror1 is in Germany and the Mirror2 is in Croatia. There’s no difference in files. We have to pay hosting and bandwidth charges so it’s cheaper for us to have two providers. Hi, Masters of Computer Audio! I’ve just finished my first test session! Great what you have done! I haven’t consumed rakija, but I’ve stored a bottle of oak barrel good red wine and what should I say- it’s empty:-). Interesting test files: Judas Priest’s ‘Stained Class’ and ‘Defenders of the Faith’- I could almost smell gazoline spirit and the exhausts of a heavy motor cycle;-) GREAT WORK Guys! I’ve for the moment only tested Dead beef player and expecting more of optimized MPD! Finally I want to control it via smart phone and MPDroid. What is your best listening experience concerning your player?- exept dsd experiments- this will come to my interest when I’ve stored enough adequate data. I’ve made the experiments with my ex ‘cics memory pc’ on which I’ve reduced power consumption through bios adjustments to the max. Further more I power the SSD of AP linux pc with extra linear regulated 5V’s and the music storage SSD with another extra power supply in similar quality. Your AP Linux thing has lots of big potential! I’m willing to discover it all! 1) Dead beef player has software managed volume control. Isn’t it possible to disable it and set fixed ‘native’ maximum digital level? 2) Which Wifi dongle would safely work? I need the wifi connection for smart phone control. I’ve tried the all known Edimax thing, Logilink mini adapter, some D-link stick… all of them worked perfect with linux till now. But maybe I’ve made some mistakes during configuration. How to set password exactly? Before the >>? Instead of ‘password’? Instead of >>? I’m a Linux- Idiot. Again- Thanks for this fascinating peace of software!!! 1) Don’t know. Put it on max and no problems. 2) WiFi is bad for sound. I don’t use it so I don’t know what wireless cards are working. You can find on internet about supported cards. If you want the best, connect your PC with network cable to the wireless access point and then use smartphone. That’s how I do it. Avoid wireless connection on your PC, and if you can, connect your motherboard with linear power supply also. why i get invalid argument? i have the same issue did you ever resolve it. What I have been doing is Bridge the second router as Client Bridge to the main router ….lol…. Anyway, this solved the wireless problem for me. The rest I will get it later when I have time. Hope, this would help someone trying to get the wireless working. beta version did not have this error but final version does. Is there a any way to fix this? It was the redobackup problem. Is there a anyway to bypass the dmixer? currently my system was upsampling 44.1k to 48k but I have just changed the alsa.conf file so that dmixer uses 44.1k as default. I have changed the output from default to front speakers which solves the different sampling rate problem. But with this setting sometimes I hear noises which should not be present. Could this be the buffer problem? I have the same problem with an HRT Music Streamer Pro USB DAC. Have you found a solution? Does anybody know how to properly implement Wlan. I just want to avoid installing kilometers of lan cables through the house. I avoid to play music over Wlan but I need it just for smartphone control. I didn’t hear any differences between cable and wlan connection in this case. I am trying to get connection nearly for three days- without success. Before typing #dhcpcd wlan0 I get something like ‘RFKILL: cannot open control device’ or something like this. I think this would be in many other user’s interest either. Also good would be to have static IP. Especially when potentially many components are connected to the router. Thank You for this great Musik OS ! Cantata and MPDroid ist all what i need. Leema Elements DAC works perfect in this System. So Wlan works now although IP Address on the right side of the screen is not indicated. That is not a problem. The real problem is, that after reboot it doesn’t work anymore- even not with typed dhcpcd wlan0. Maybe SSID and password are not stored. So the whole procedure has to be repeated after every boot. Would it help to install everything once again and do the Wlan setup in the Redo Backup phase? Maybe password cannot be stored because of read only situation. After wireless config and typing dhcpcd wlan0 it works. After reboot if I type ‘ip addr show wlan0’ it is indicated as ‘DOWN’. Even with ‘ip link set wlan0 up’ I can’t bring it UP. Immediately after wireless config it is possible to bring it UP or DOWN as I wish. So it really seems that storing password fails. do you have plan to offer 32-bit image? Still no progress with wireless configuration. But I’ve discovered, that SSID and password are properly stored in wpa_supplicant document. If anyone has succeeded in wireless connection, please report. Have static IP now. I’ve testet AP Linux for a while now and have to say that sound quality is outstanding- no comparable music players so far I know. 1.) Controlling Webradio via MPDroid. It would be ok just being able to choose stations that have been stored as favorites in cantata before. With this feature it would be possible to disconnect monitor and running a headless system. 2.) Visualization of local album covers through MPDroid that are in my case stored in every album folder (jpg) in /storage/Music. There are no tags because I prefer wav files for the reason of audio quality. I think having implemented this features would make AP Linux more comfortable without sacrificing sound quality. How did you get your wireless working? Everything went smooth with the install, only issue came up when I was configuring the wireless via my router. hi… thanks for this distro .. I have been enjoying it for many months now.. I just updated from 3beta to 3 and wonder what the changes are, and how I can verify which version I am running. I have had three installs on various drives and need to identify the current before wiping the old installs. They look the same to me, unless I am not booting the current… any way to check? If you have Cantata installed, then you have the latest version. Just managed to controll radio stations via MPDroid. In cantata I choose my favorite stations and store it in created playlist ‘Radio’. Then in MPDroid library- view ‘Playlists’ has to be activated and voila- I have access to my chosen favorite stations under playlist ‘radio’. That works fine for me. Now only cover view is missing. That seems to be much more tricky. BTW: Could it be that PCM level is slightly below 0db? An alternative mpd client I tried showed level at -1%. the problem was the USB2.0 port of the motherboard, I moved the USB cable to another port and the problem disappeared, everything works perfectly now :). Is there any sound improvment in the final version compared to the beta version? Or any other need to install the final version? Because: I’m happy……….. with the beta version. Would be crazy if there would be a sound improvement with the final version. Misson impossible! I will try it after cloneing sda1 and sda2. To use a linear power supply is a good but not a simple solution, 19V and 3,5A in my case! And i do not know how they make the 5V and 3,3V on the Zotac board, maybe linear. I will try to use some extra filtering with 10R and 4700 or 10000uf, that should cut switching noise and give a good power buffer. Until then i will enjoy the beta! I have the components for a AMD Kabini-based APU rig showing up next week, which I suspect will prove an ideal platform for a audiophile HTPC. I’ve read through both this and the beta installation thread, and I’m wondering if this final version of your V3.0 is likely to have the proper drivers for a Kabini AMD processor built in? I believe AMD is describing the video component as a Radeon HD 8400. And if not, would installing the latest AMD catalyst drivers somehow mess up your distro? I remember thinking that I could install Mint updates in the previous version, and doing so absolutely screwed up the install (and forced me to completely reinstall the OS)!!!! I thought it better to ask in advance, and anticipate likely problems with the install. I’m also planning to use a USB hard drive as a primary source for music – as I did with V1 and V2. I recall reading in the beta thread about some sort of issue in getting the OS to automatically mount a USB drive (as it did in V2). Is that something that I should be planning on having to deal with? Thanks so much for developing this. I have installed this OS on a AMD Kabini build. Sounds better than anything else I’ve tried (real-time Ubuntu, etc), but I couldn’t manage to display properly on my TV. I am not an expert but by fiddling with xrandr I didn’t get anywhere. The TV displays fine with Ubuntu (and even the Redo CD) but it’s shifted by 2/3 on the right with this OS. Has anybody got any advice on how to fix this? Should I try to install AMD Catalyst? You can try to update the system. Maybe new drivers that are out can fix your problem. You will have to answer to some questions. Just type Y (yes) to them. Thank you for the quick answer. I have tried that, but no luck. It displays fine on a normal monitor, so I wonder if it’s something to do with that. Also, on a separate note: how would I run a script on startup? I’d like to start Spotify on startup…I tried following the Arch wiki but I couldn’t make it work. Will try the install again on an old hard drive if I get some time and post back if I fix the display issue now that some time has passed. Thanks for your response. I anticipated that not having the Catalyst drivers in AP Linux would present problems with this brand new build, so I opted for now to go with Lubuntu on it, at least initially, until I could be sure that the hardware was all functioning as expected. And even with Lubuntu, I needed to install the latest Catalyst drivers to get the desktop to fit properly on a flat screen TV. I know rather little about Linux, so I’m finding this all a bit of an adventure (especially getting all the expected HTPC features to work with a minimalist install) – especially compared to what I’m used to with Windows. My plan is now to get another hard drive and use that to build a AP-Linux 3.0 setup – so I’d be very interested in knowing how you solved your issues. First thank you for your great distrib. The install went ok but when X started I had a black screen 9 times out of 10. Also If you have your different soundcards that keeping changing order when you reboot this: http://alsa.opensrc.org/MultipleCards tells you how how to fix a particular order. After restore, I have an unknown partition on disk! No ext4. I follow the Install instructions step by step… I can create an The restore time on my system is 0.10 m. Why is it sow ? greetings.. again thanks for the very good update to 3 final. I have solved all my “issues” except two. First, after wiping all disks and installing to disk 1, if I chose the first selection on the blue boot choice box I still get the 3beta install (although I have wiped everything two or three times), but if I choose the backup or secondary aplinux choice I boot to ap linux 3. I cannot figure out what is happening– but its not a big deal as I can boot into the new version which is a definite improvement over the beta. Second issue is playing dsd files with canata with mu schiitz optical modi. When I try and play a dff file it plays but silently-no sound a all. I have the mpd settings default, and realize most use usb dacs. I have done some research but found no infol. Do you have any suggestions? how can I stop the screen shut off? When it does the music program stops too. I am new to linux any help would be appreciated. Many thanks for your time and trouble in making this exciting distro. I have had a few installation problems that I recount here for the benefit of others. I have an AMD 3000+ single core processor on an ECS motherboard with 2GB RAM. Prior to installation I reconfigured the PC with a DVDRW drive as first boot and a 120MB OCZ SSD as the only other disk. A USB key was used to supply the ap-linux img files from the downloaded zip file. After two identical failures, detailed later, I replaced the SSD with a ITB HDD. In every instance I followed the v3.0 instructions exactly (I was very careful to double check each step). After the process was complete I made the SSD (or later, the HDD) the first boot device. In each instance on the first reboot I obtained the AP linux start-up menu and selected the first option. Errors were reported during the start-up with fsck and a message indicating that the /dev/sda1 device was not mounted for read/write. I sorted this by going back into disk utilities and editing the fstab in the first partition so that /dev/sda1 was ‘rw’ and not ‘ro’. This particular error then disappeared. The next error encountered was more complex. The exact errors are detailed at the end of this post. Please note those errors also happened before I made the “rw” fix above. Interestingly when I chose the “AP Linux Fallback” option from the boot menu the AP linux started up without any errors, and I was able to make the suggested edits in Xterminal. I hope you will be able to suggest a way to fix whatever goes wrong with selection of the first “Audiophile Linux” option – there must be some difference between the first and second options? ERROR: device ‘/dev/sda1’ not found. Skipping fsck. ERROR: Unable to find root device ‘dev/sda1’. This version of AudioPhile Linux is designed to be read only. Don’t try to fix it. This is not an error. For rw you have /config partition and /storage partition. Before installation on any disk, wipe all partition and data on that disk. Leave it unformatted. I will change fstab back so that /dev/sda1 is “ro”. Unfortunately this will reintroduce the fsck error warnings that /dev/sda1 is not set to rw access. I can live with that if it does not affect whether the distro works properly afterward. Unfortunately you don’t comment on the second set of errors as detailed in my earlier post. Subsequent to these the PC freezes up completely. I am not a Linux guru and I don’t understand why the fallback option in the start up menu gets me to an apparently functioning AP Linux destop but the top of menu option doesn’t. I will see if I can find some documentation to explain the difference between the released and fallback options, but if this problem is a known feature it would be good to know what the implications are for the end-user. Hopefully comparing the functional fallback scripts with the non-functioning primary option scripts might reveal why the primary option fails to start the desktop and freezes my PC. Any explanation would be very welcome and appreciated, as would any information concerning the schedule for any potential fixed release. As my stepwise install exactly replicated all the screen dumps given in the installation instructions, I am puzzled as to why no-one else has encountered this problem. (Earlier in the list Tribor seems to have had a very similar unresolved problem with the installation). If you suggest that I have done something wrong during the install I will happily accept any suggestions you have. If not I would like some information please about the difference of v3.0 to the fallback option so I can evaluate whether any difference in features/performance is sufficient to make me look for another distro. I appreciate all the effort that goes into creating a distro and do not mean to seem critical. I may be able to try again on a different PC in the future, but I am not convinced the experienced problem is related to hardware. I have exactly followed the installation instructions 8 times on the current target PC and I really cannot see anything I may have done wrong. P.S. Both the SSD and HDD I used were new and previously unused. My first step was to ensure that any existing partitioning was wiped and the disk not initialised. I will do this again and specifically ensure the disk is not formatted, either to NTFS, ext4 or any other filesystem. I will report back if that makes any difference to the result. Well I tried again. I specifically checked that the SSD was connected to SATA port1 and was selected as the first boot device in the BIOS. The DVDRW drive was installed on port SATA2 and was selected in the BIOS as the secondary boot device. The AP-Linux files were available on a usb-key inserted before booting from the DVDRW drive into the Redo-Recovery And Backup program. Once this was running the first step was to wipe the partition data on the SSD as per instructions. I followed the instructions and restored the AP-linux to /dev/sda1 with its accompanying /dev/sda2 partitions. So these were the only partions on the SSD. As instructed I then created the ext4 partition as “New Volume” for all the remaining space on the SSD. I removed the USB key from the system. As instructed I edited /etc/fstab to change /dev/sdb1 to /dev/sda3 and saved. I removed the DVD from the drive and rebooted. The system started up and produced the blue background menu to select the AP Linux option. I selected the first option (top of the menu) and AP Linux started to load. I obtained exactly the same error as reported earlier, so I won’t bother typing it out again. The AP Linux system couldn’t find /dev/sda1 and the PC froze up. As the first sign of madness is repeating the same actions in the hope of a different result I am giving up now unless someone can come up with a different suggestion than I didn’t follow the instructions properly! If you can boot fallback kernel (2nd option) send me an output of these commands by email and I will try to help you. Become root with ‘su’. Send output of ‘fdisk -l’ command. Send me this files: /etc/fstab and /boot/syslinux/syslinux.cfg. Send me your exact motherboard model. The mail is marko@ap-linux.com. You did everything OK. I think it’s the motherboard problem. Autodetect doesn’t work so your disk is not recognized. The fallback image utilizes the same configuration file as the default image, except the autodetect hook is skipped during creation, thus including a full range of modules. The autodetect hook detects required modules and tailors the image for specific hardware, shrinking the initramfs. So you can use fallback option but your memory print will be bigger. Change the syslinux.cfg file if you want fallback image to be default. I need to set the Spanish keyboard on my laptop. I bought on Ebay (super deal, but with German keyboard …). I put the sticker “transform” in Spanish, but loading AP configured Linux v3 have another keyboard. How to set maximum voume in system ? or by default settings optimized for great output? Open terminal and type alsamixer. Select your card see if master is set to 100%. Re: my problem booting /dev/sda. Thank you for your help. It does seem likely that the motherboard is failing to autodetect the drive as you suggest. I will use the fallback option. I look forward to experimenting with this distro. setxkbmap gb& for setxkbmap de&. (NB setxkbmap uk& did not work). This resolved the problems with keyboard layout except for the £ symbol. Initially this key gave a #, but now the keyboard just produces a beep and no printed character. The ¦ from Ctrl+Alt+` also does not work. I can live with this. This fix also cleared up problems with the Misc|Text Editor-root and Misc|Text Editor-user items. The kb layout now matches the UK layout described above. One query about these text editor options. If you go into the settings|save language option, the only language available is hebrew. Is this expected? Hi. I’d like to make a permanent installation on a USB stick, and not an HD. Is it possible with this distro? How big should the USB stick be? Any negative effects in doing that? First thanks for the great work. After I have taken the installation hurdle, almost anything works fine as far i can see at the moment. But there is one thing that makes me write this lines. Only Cantata makes trouble no matter what source is selected, web stream or file. The Problem is a periodic crack with a frequency of approximately 3 Hz (tack, tack, tack). It is evenly loud independent from the actual plays sound. Particularly loud is the disturbance of the sample rate 16/44100. 24/44100 the disturbance is not missing but much quieter. And as already mentioned, audacious or deadbeef having with the same files no problem at all. The difference i can see, is audacious and deadbeef are working with PCM and Cantata is using DSD. Can this be the problem? I have no idea where to search and Arch Linux is new to me. and maybe not for every DAC. Putting # in front of this lines will cause MPD to use default values that may be better for your DAC. Thank you for the competent and quick help! This was precisely the problem. Hi, thank you for your great work. I installed the AP_linux and everything is fine. When I try to mount it, I can’t….message is unknown file system. What can I do? I’m a linux newbie…. Please, how can configure wireless network? I don’t find the old menu like cinnamon…thanks in advance. thanks for this great piece of work. Installation was a piece of cake thanks to your foolproof instructions. There’s just one small problem left: As a mpd-client I use MPoD on my iPad. To show the locally stored covers there has to be a webserver running. This was no problem so far with Ubuntu-Studio which I used before. With AP-Linux I failed to install a webserver. I tried both apache and Lighttpd. I got “403 Forbidden” errors what ever I tried. Can you provide a blueprint on how to get a webserver up and running on your great installation? Webserver is up and running if you are using AP-Linux v3.0. Open a browser and point to your ip address. I don’t have any V3.0 around me to check right now. This is a great idea…exactly what I’ve been looking for. Now, I have a stupid question, but I’ve always made it a habit of doing things the hard way. Is it possible to simply use the “dd” command in terminal to install the distro to a partition, instead of using the whole disk? Then you could use Rescatux or GRUB customizer (in a currently installed distro) to recognize the OS and add it to the GRUB menu, and go from there. I’ve used a similar formula to move a distro to a new, larger HD before, when the convoluted menus of Clonezilla confused me and put me off. If I’m wrong, please let me know. I’m just brainstorming. Thanks. Yes, it is possible using rsync, cp and other tools. I would be interested to do a side by side installation with Ubuntu 14.10, I have some experience with Linux, only as a user though. Would that be possible as with any other Linux distribution or does that have special requirements? grub to be installed on MBR but somewhere else and you know how to edit syslinux in AP-Linux. So I followed the instruktions regarding the storage partition but I end with a partition that is automounted read only. The only difference is that the partition is on a usb disk. fstab is exactly how it should be (e.g. rw flag is set) but the mtab shows the ro flag. Any help? I replaced -Dwext by -Dnl80211 and now it works . But on every reboot i must type the wpa_supplicant commands to enable wifi . I’ve successfully installed ap Linux without dvd reader. 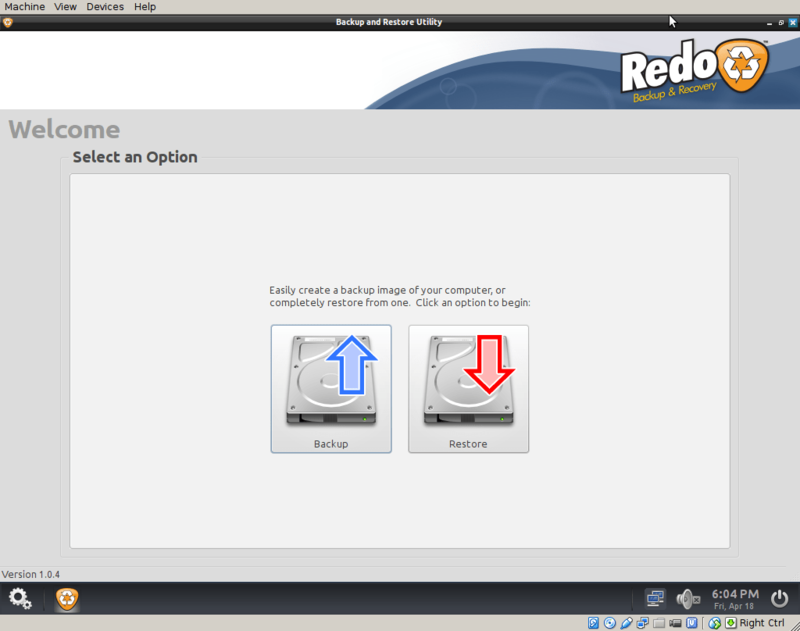 Redo is installed in sd card with unetbootin in Windows 7 system. Unzipped Ap-linux files are copied in usb stick. All works fine! Installation complete 100% on AMD 64bit. I’m trying to install your powerfull OS but i have a question> i don’t understand if i can install it on a partition, because i have only one computer, only one drive and i can’t do my business without Ubuntu on my pc. Is it possible to install it on a partition or it requires always the entire disk? Thanks for all. It is possible but it’s very, very complicated. We don’t have instructions how to do it. Where do you mount storage directory? On which partition? On /dev/sda3? /dev/sdb1? “rw” flag. But first you must unlock the system to be able to do that. It’s in documentation. First of all let me thank you and congratulate you for your work, AP-Linux is IMO the best OS for computer audio. I’m a linux newbie and I would like to ask you if there’s a way to control the audio PC remotely via remote desktop or VNC and how can that be done. Can anyone please tell me how to enable the local display or how to get around this problem ? you ware Right it in documentation i misted to change b in to an a.
en its working amazingly well en sound great, better then windows. there has to be a way to make this work. I have a lot of music at my NAS but I am not able to play it. I’ve install the V3 on a laptop hp envy15 1050ca with an Hiface 2 sending data to my dac through spdif. The problem I’m dealing with now, with the new installation is that Deadbeef and Audacious after a while freezes. No more music and the player won’t close and ending the session takes a lot of time. backup and transfer of files. It’s a bios problem … Another Windows golden cage that Envy 15… Before installing Ap-linux V3 on it I’ve tried Ubuntu 14.04 with lots of bugs so…..
i am trying to install AP V3 to laptop Lenovo R400. I put fresh SSD inside and USB (32GB NTFS) with AP-Linux-v3. My problem is that i dont see USB drive when chosing source drive only SSD drive. USB is mounted. and sometimes it’s not recognized on some PCs. Doesn’t matter if it’s Windows OS or Linux. Thanks your perfect works to privide such so good system to listen music. Now I want to install aplinux under windows7 using easybcd. but my notebook only has one hard disk and I dont want to delete windows7, so I have to install aplinux to a Usb hard disk , installing looks like perfect. Now my problem is : cant boot aplinux using grub. how to write menu.lst ? my usbhd id is (hd1,0) ? grub cant find kernel/initrd file. Can you help me ? or any other install suggest ? Thanks a lot ！ done. Now can boot aplinux from usbhd. Now my notebook is installed two systems: wn7 and aplinux. The DAC works perfectly on windows, so problem is not the DAC. Open terminal and type ‘alsamixer’. Select your soundcard and toggle muted sections or raise volume of the ones that are down. If this helps, reboot pc and do it again but first put system in read write mode so the ALSA settings could be saved. Maybe you didn’t select correct output device in preferences of Deadbeef. I suggest using Cantata/MPD player. In deadbeef correct output is selected. I did try the cantata it has the same problem just like deadbeef. My another DAC works right away but for this new DAC it is recognized well but no sound though. I have just tried upgrading my working APL v3 PC from a hdd to an ssd. The installation works perfectly but when I then boot the PC after the initial start up screen the display goes blank and then I get a broken up display. The PC has booted as when I press the power button briefly it goes through the shutdown routine and the display does become sort of readable. Changing back to the hdd and the system boots just fine. Do you have any suggestions as to why this is happing and what I can do to fix it? PS Great sounding distribution, many thanks. and a disk created from the Redobackup CD image will not boot at startup so I am letting you know these results. Thanks Mike. The files are fine. We have many downloads a day and you are the first to report this in last few months. Sometimes people experience connection problems over the network and some download managers (browsers) doesn’t know how to handle that. And then files get corrupted. This probably happened to you so you will have to download it again and check md5 file. Thanks anyway for reporting. Thanks for the reply, I have the OS up and running now and I am very impressed by the sound . There are a few glitches but as I have not used Linux before it is no surprise. I have been using windows and computers since the Dos days , and I just need some recommended reading material for linux commands and system overviews to get up to speed , have you got any recommendations by chance? Main trouble so far is as a stand alone boot drive it works fine , but when I add my windows bootable drive, the linux drive won’t boot while the Windows 7 drive will boot in the dual drive configuration. The installer program does not recognise my USB stick with the APL-v3 files, when I try to select the source drive (though the Disk Utility and File Manager see the USB stick fine). Any thoughts on what the issue might be? Sorted it out. The USB stick had to be partitioned as a “Master Boot Record”. Ciao Mlerota, intanto complimenti per l’OS, è super!!!. Ma ho seri problemi con la cofigurazione della mia scheda audio EMU 1212m PCIe, sembra non esistere… Qualche suggerimento? can i partition my C drive and then install audiophile linux on the newly created partition the same as in the instructions or will the whole of the C drive be formatted at setup? I installed AP Linux and I have a problem. It doesn’t recognise my soundcard – Asus Xonar Xense (it’s not on the list). It does, on the other hand, recognise the NVIDIA audio outputs, it also works with my notebook. I guess the problem are missing drivers or something? What can I do? My mother board is GA-990FXA-UD7(Rev 3.0), the USB2.0 ports not work normally. My mouse and usb stick are not be detected. The USB3.0 ports work well. No idea how to fix it ? Could you indicate how this installation can be made headless? I would like to install VNC server ideally, but will be able to work with SSH if necessary. I don’t see any package tools on this distro such as APT or YUM. Can these tools be built from source or is there a better way? 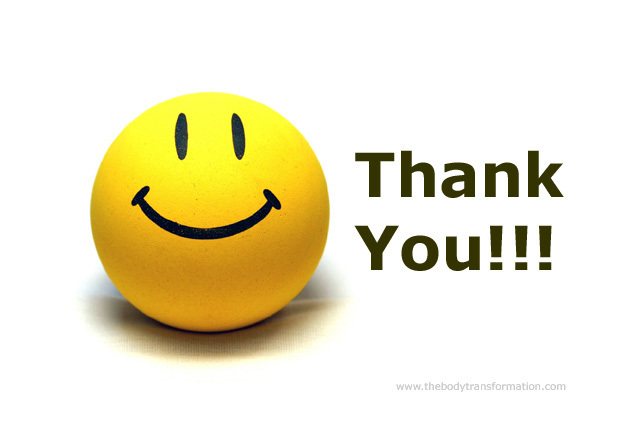 Just to tell you thank you for this great job ! Very good documentation and a great system !!! I have tested many systems, but this one is the best ! Denon amp + JBL E-100 ==> sounds great. Please continue like this ! Sorry. There are many DACs. I can’t know them all. Audiophile Linux won’t start, but AP Linux fall back does actually work OK. Is this normal? Is there any problems with using AP Linux fall back? Search for “fallback” on this page. There’s explanation few comments earlier what fallback is. Does APLinux also work with Intel NUC- Systems? I really dig this audiophile Linux and would love to give my old laptop a second life! 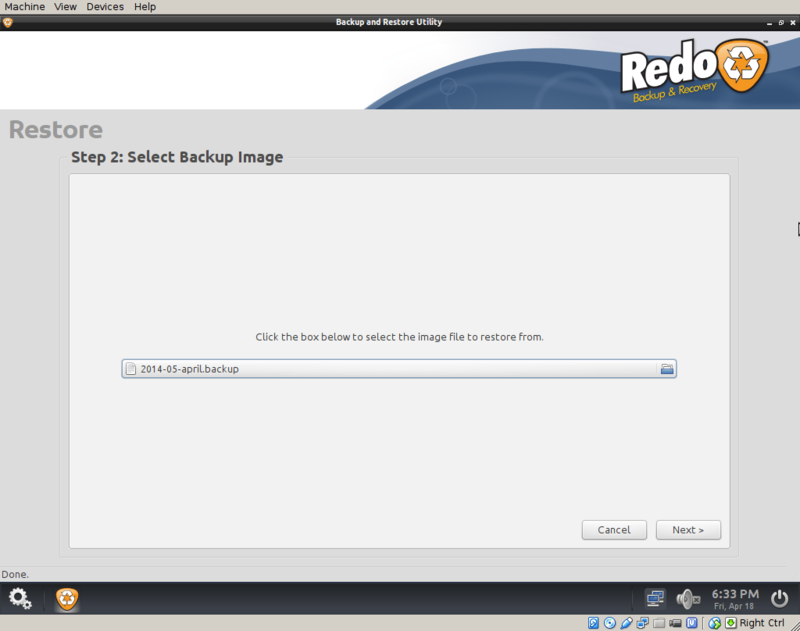 Although you state a minimum HDD size of 27 Gb, Redo says the backup file extracts to 28 gigs more than my 100 Gb SSD. Any suggestions? If it says this, then something is not ok. Try to install it nevertheless. Hi I was wondering if there’s anyway to install this without a CD-ROM. I have a netbook and no way of hooking the ROM to it. Yes there is. Just read this article and there you will find how this can be done. Installed ap-Linux 3.1 on HP Compaq 8510w workstation-laptop. No MD5 for 3.1 (?) but ap-Linux boots and runs well. Thank you. Ripped my first CD and this plays on laptop (only). 1) I see from the ap-Linux list that NuForce DAC is supported / works. NuPrime (upmarket follow-on from NuForce) has only a custom driver for windows and a standard driver for Mac and no mention of Linux. My NuPrime IDA-8 is not recognised by ap-Linux. I have asked NuPrime about Linux drivers. Anything that I can try at the ap-Linux end? Is this a normal boot process? Hmmmm All is not what it seems. Otherwise you end up with no change of ownership, and multiple /home/muser/Music files on the system partition. I presume I can somehow delete the /home2/ directory? Don’t remove this directory. Don’t remove anything. I’ll do a clean install & upload music when I have worked it out sufficiently. Learning lots, including a bit of Linux. Main issue is Linux driver for NuPrime IDA-8. I’ll post & make a donation if I can get that sorted. Can I have both Linix and Win7 on my PC ? Based on my requirement I would like to boot the OS. It can be done but you have to be an expert in Linux to be able to do it. The process is too complicated for the beginners so I decided not to make a documentation how to do it. Disable read only mode. Read install instructions. Hello – Just successfully install V3.1 and it’s working great. It’s installed on a netbook, and I would like the monitor to shut off/blank after a minute or two to save battery life. Or, I’d like it to keep running when I close the laptop lid. Could someone please explain how I can add screensaver/monitor controls? Look at .fluxbox/startup file and change xset dmps 600 to 60. These are seconds. Restart Fluxbox and you will have new settings. Excellent. I used 120 instead of 60 for a bit more screen time and it works like a charm. Do I need to change the other two numbers in xset dmps (“1200 and 12000&”) to prevent it from shutting down while playing music? One other question: how do I reset the screen resolution to 1024×600? Right now I can’t see the top or bottom of windows because my screen it tiny, making it a little cumbersome. on the internet how to set up resolution of your choice. The only reason for this issue, that I can think of, is that the drive I am installing to is too large (3TB). I’ve tried formatting with GParted with AND without a partition–nothing seems to work. It would be nice if I could just install it like Arch, which is my primary OS on my primary PC. Any ideas on how to get around this issue? Huh, it’s maybe because of the 3TB hard drive. Maybe to try install on some smaller drive and then use Clonezilla to clone to the 3TB drive. Clonezilla is regularly updated and Redobackup is not. The last version is from 2012. I had to modify it to work with new hardware. Thanks! Unfortunately, is the only drive I have for my HTPC–I’ll have to come up with something in order to do that. Anyway… thanks for the input! 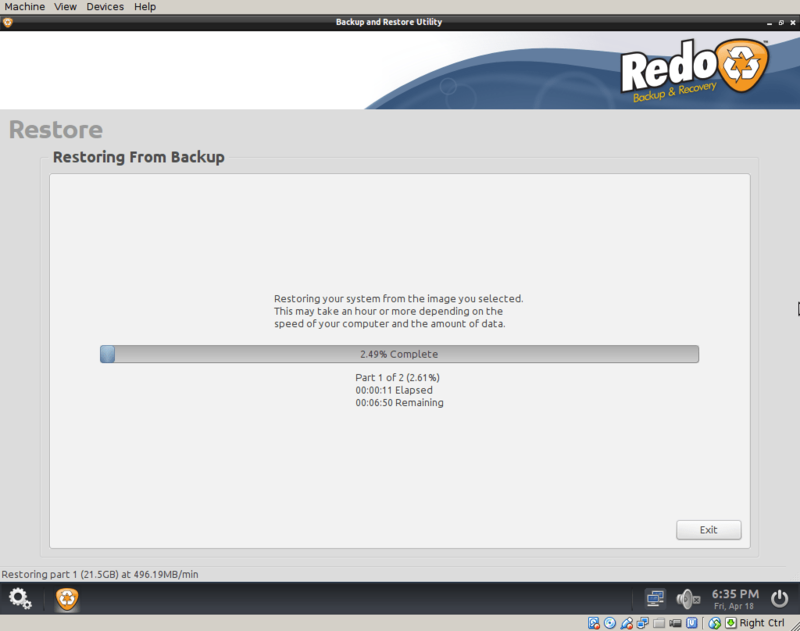 Just wondering: does Redobackup get far enough to create partitions on the drive? And if so, does it create 3 or 4? Yeah, I believe so. I tried a bunch of times, and I think a couple of them created 3 separate partitions; however, most of the times it didn’t get that far. I just wanted to add that if ap-linux can’t run off an external HD or thumb drive, I’d like to know. I’ll get another SSD for it. I’m really wanting to give it a go!! Audiophile Linux can run from external hard drive, but I don’t recommend any usb hard drive. Audiophile Linux should be run from real SATA or SSD drive only. Thanks for the response. Any idea why I can’t boot to mine? I’d like to try it out on my current drive if possible if only to check compatibility with my DAC and to explore the OS and what I can do with it. I just installed on a new SSD, I erased per instructions, and followed all directions. When I reboot, however, I’m only given a list of options among a few ubuntu partitions I already have on another drive. If I restart and follow the boot menu selection for mo mobo ( Gygabyte z77x-ud5h) I can select the new SSD I installed on. I’m given a list including hd-linux (and something like hd-linux ‘fallback’ don’t recall exactly). When I choose hd-linux, after a time I get the log-in for one of the partitions on the other drive. Disk order. You have to correct disk numbers in the system or physically with the SATA cables. After poking around on Linux sites I kind of got that idea. I switched around some cables and I was able to boot Audiophile Linux after forcing boot in BIOS, but it won’t boot yet from the boot menu on a normal restart. I have a couple thumb drives on the way for backup and running Boot Repair. I’m a Linux intermediate at best. so I’ll take this slowly. Arch Linux looks like it will be rewarding to learn about!! You just have to know what disk number BIOS gave to your hard drives and then put the right numbers in two files. You mean like “/dev/sda1”, which is where APLinux apparently now resides? What two files need to be modified? I edited “fstab” and pointed it to a storage partition on an HDD. After physically moving my SSD, do I need to re-install Audiophile Linux? Well, I got it to boot if I get into “boot override” on restart. I’ve been able to play back PCM audio in the players I’ve tested and video in VLC and Kodi. No DSD playback so-far, including in DeadBeef. I’m using an SMSL M8 DAC via USB. It’s a start, anyway! I don’t have this DAC. Some of the users reported that it works. I will send you his contact. I got mine working, but haven’t yet figured out DSD playback. I’ll be watching. 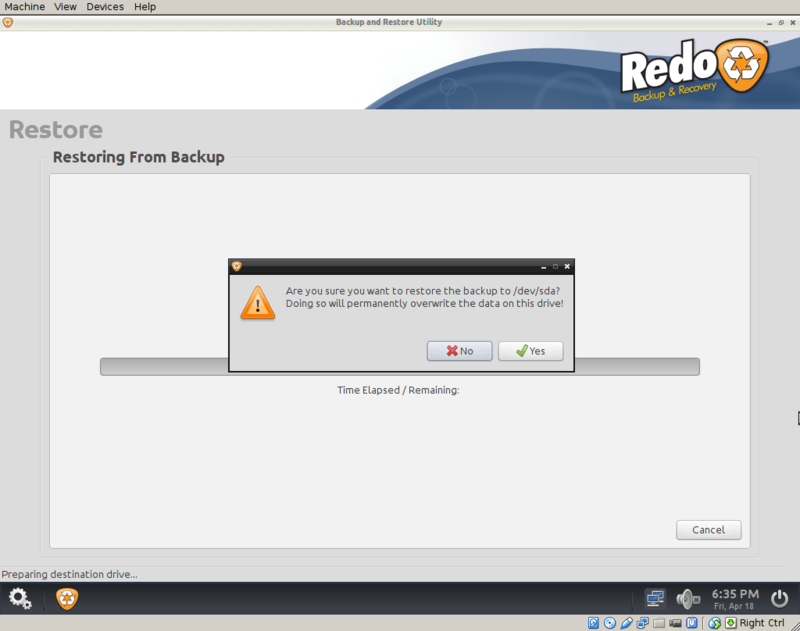 I downloaded the files as instructed and created a boot for Redobackup in a USB using unetbootin. I copied the extracted (zip) file for version 3.1. Partitioned my NUC’s SSD and went to Step 1 – Select Source File. Unfortunately, got an error such as ” Cannot find source file….”. Essentially it cannot locate the zip file I am assuming. Also, is there anything I need to do for MD5 (I did not do anything as my zip files successfully downloaded and got extracted)? Your source is not zip file. It’s one file in extracted zip file. Extract the zip file. Hi. Yesterday i tried to install ap 3.1 at new pc (mainboard witch 97 chip), and ia have problem with correct boot redo. I tried unetbotin and cd instalation, and still some errors (but it starts). When i try to backup ap image, it show me that usb can not be open, i must unplug usb drive and plug one more time and then i can choose backup image, and then i have error about too small hdd (i tried ssd 120 gb, hdd 160 and 500 gb). Tried to find solution on the web, but nothing. You have a typo. It’s not /dev/sd1. It’s probably /dev/sda1. Yes of course, but I have not found a solution? Thanks for your work. Audiophile is very nice and easy. great work! THX a lot for this geek stuff. My system runs well so far on v3.1. It’s build from an i7 860 cpu, 16gb ram, ssd for system and a juli@ sound card, all stored in a fanless setting. – after running update “pacman -Suy” and reboot I’m missing conky! Is it a bug or did I something wrong? And finally I would like to know, if setting up samba will decrease quality of sound output, while running this deamon in backgroud? Download this file and do # pacman -U apl-conky-1.9.0-7-x86_64.pkg.tar.xz. For samba, you will have to check by yourself. I prefer NFS. Thanks for your reply. I solved it with a new install. Meanwhile I changed the cpu from i7 860 with extern grafics into i5 660 with the integrated ironlake gpu. So i got enough space put in a ESI Juli@ pci. Now I got strange issues after booting the system. Fluxbox doesn’t start correctly and ends up in a frozen curser that disappears after few seconds. But mpd is running and I can play music via Remote. How can I get back the desktop? There is ssh running, but I can’t login. Thanks for an excellent solution for playing bit perfect audio! 1) Nginx web server doesn’t present correctly UTF-8 characters. 2) Conky doesn’t present correctly UTF-8 characters. Font is slightly different, but still OK.
please help. I’m no linux hero and need your advice. “…changed the cpu from i7 860 with extern grafics into i5 660 with the integrated ironlake gpu. So i got enough space to put in a ESI Juli@ pci. I will try to give some more detailed info. At first, I ran a lynnfield i7-860 with pcie vga, but without the juli@, because my case has only one card slot. No chance to put in the juli@, too. So I played music via onboard HD audio and toslink connected to V-90 DAC. But I wanted to get the Juli@ running. My pcb provides a LGA1156 socket. To get my pci audio card in use, I changed the cpu into one with interated grafics, the i5-660 with igpu and put in the juli@. After switching the cpu, I got no grafic Desktop. My first step was a new blank install of AP-Linux, according to the install intructions, but it didn’t solve the problem. So I explored the arch wiki and being happy now, getting a console, when booting in runlevel 3. The intel video driver is listet as already installed and the viaEnvy24 is shown in lspci. After a regular auto boot up to runlevel 5, the session start ends up into a static underline (curser prompt) top left on blank screen, which disappears after a few seconds and switches of the vga signal. I got no grafic output at all (only shutdown messages are shown, when using power button and refresh monitor before). MPD is started an reacheable via remote app, but music can only be played usb. For testing, I tried an old Ubuntu 12.04 LTS from seperate HD and it’s running without any probs. I got Desktop, the juli@ audiocard (viaEnvy24) is detected correlty and plays music via digital output, also via usb and onboard audio via toslink. Are there any ideas how to get back to the AP Desktop and it’s features? I’m willing to make a rewarding donation, if I get my system running well. I’ve reached the stage where you select the drive when you restore, and have selected ‘connected directly to my computer’. The problem is that it is f*cking greyed out every single time I try to fix it (unmounting and mounting usb drive, extracting files from zip etc.) So the simple thing is, I can’t select anything. Hm, it looks like your USB have some permission problems. Format it again with NTFS or ext4. “Aplinux” and unzip files there and try again. Tell us if you made it. Cheers. It worked! turns out the usb I was using was formatted as FAT 32-bit. The root device is not configured to be mounted read-write! It may be fsck’d again later. You did something wrong. You installed AP-Linux on windows FAT filesystem somehow. Did you edited /etc/fstab file. There is the problem. No vfat should be anywhere. It’s from windows. you were right, I leaved the windows hd connected to the motherboard, however it continues not working, so I tried booting in fallback mode with this last configuration, now it’s ok.
what is the difference between the standard mode and the fallback? thank you very much, have everybody a good sound! Search fallback on this page. It’s already been answered. Thank’s for sharing your work and saving us all the amounts of time needed to properly setup and configure an Arch system! Only, the fonts are so small within the graphical interface that nothing is readable (changing blindly settings in the theme configuration doesn’t solve anything). Furthermore, conky is all squeezed on the top right corner with all the characters mixed together making it unreadable too. What method is used in your config to control the font size used by fluxbox? Is it in xorg.conf? By the way the resolution of my screen (which is a TV actually) seems to be correctly detected so I don’t think the problem comes from there. The fonts are tiny because of your graphic card. The card is new and it’s not yet supported in AP-Linux. if someone want to have an other OS with AP-Linux try Linux Mint. set the mount point to / and let it run without creating a swap partition. Ok, do it on your risk, with little ram maybe you need a swap and if Mint does not install the boot loader correct you will have big problems – so clone your disc before doing it! Mint is really nice, you can do the most things you can do with Win or Mac OS and it’s something like a perfect combination with AP-Linux. Does someone know how to change the boot order? AP-Linux should be first to use it without monitor, keyboard. How can I make a executable script on AP-Linux to get wlan running without typing every time su……..etc? Many, many thanx to mlerota – there are some other good solutions, I like Daphile, Audirvana, Foobar but AP-linux beats them all! How can I install a http-Server in AP-Linux ? What kind of http-server do you suggest ? What do I have to type in X-Terminal for installing it in AP-Linux ? I need it for using it with MPD and MPad, so that MPad can show the CD cover while playing a track. With a http-server MPad can download and show the cover JPGs from SSD disk. This works with MPD and MPad very good, using Ubuntu and lighttpd. mpd is just running an http-server! cover filename has to be set for all covers in your music folders eg. folder.jpg or cover.jpg, so you have to rename all of your cover-pics. you should also re-tag your music-files with the new cover. note, mpad didn’t display png files!! Thank you for good OS. Now I’m trying to install AP-Linux in new machine: Intel NUC5C (Celeron N3050: Braswell). When I command “startx”, same errors appear. I guess latest Intel HD Graphics doesn’t work well with AP-Linux. However, it’s not working well. Please tell me some idea to fix it if you have it. Intel NUCs are not supported by AP-Linux. You can’t do anything. They will be in the next version. I have a problem with Cantata and/or MPD. I have a Classical Collection on an UBS HD, I linked it in Storage/Music, mount it with the file-manager and see it in the folder view of Cantata. But only 38 entries! It’s 97GB with 256 kbit/s compressed (damned!) files, with Deadbeef it seems I get access to all. With Linux Mint on same HD with installed MPD and Cantata there are 397 entries(folders). Any advice? There had been some problems with file naming when I imported the files with foobar from an iPod. 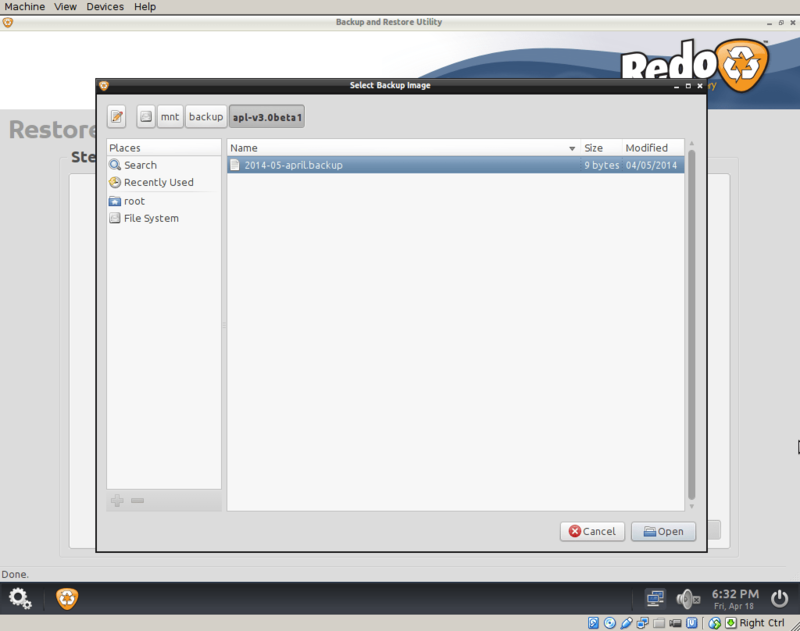 But the Deadbeef, Filemanger and Cantata/MPD on Linux Mint (almost the same mpd.config)should have same problems. 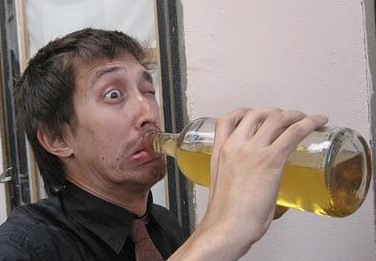 with “chmod” command like “chmod -R 755 /path/to/your/disk/files-directory”. You must be superuser (root) to do it. Become root with “su” in command line. Password is “muser”. I think, that i read about that in the documentaion, but I do not find it. Normaly I don’t use mp3 or m4a – but they had been on my old iPod and meanwhile I use an old Nero aac decoder for recordings that are not worth to be saved uncompressed. This decoder can be set to 500 kbits VBR and that’s perfect for those recordings. It’s a problem with MPD 18.16 in AP-Linux 3.1. Seems to be that there is an error in the faad decoder that should support .m4a files. I updated the whole system and….Kodi works! But same behavior with .m4a files and MPD. I tried twice to update MPD the way described in the forum and was lucky to had cloned the HD! Ok, I will use Deadbeef for the Classical Collection and try to get a better folder structure to it. Maybe there comes a V3.2? I want to install ap Linux as dual boot. Don’t want to loose my Windows 7 which does the HTPC job for movies. Learn how to do it or get another disk. How to mount synology NAS Music Fold to MPD? I just can not make it work, please help. Thank you. Replace IP address (192.168.x.x) with your Synology IP address and /volume1/music with your setup. I use # mount -a mounted NAS on the PC, I can see all files from my NAS in File Manager under /Music/synology. but in Cantata I cannt any files from my NAS, under Folds tab there is no “synology” fold. If I update Database on Cantata , Cantata will stop working ” cannt conect localhost:6600″ What should I do? Job for rpc-statd.service failed. See “systemctl status rpc-statd.services” -xe” for details. mount.nfs: rcp.statd is not running but is required for remote locking. mount.nfs: Either use ‘-o nolock’ to keep local, or start statd. Also how to install VNC on it? I try # pacman -S x11vnc ends up with server error. I’am new to Linux , need help, many thanks. so I can mount my NAS to it. or try to mount the NAS somewhere else but not in the Music folder and then create a link in the Music folder that points to the mountpoint of the NAS. Arch Linux is crazy for LinuxNoKnowers like me and you, but AP- Linux is the best. if you execute the #!/bin/bash file you will find your NAS at /run/user/1000/gvfs – make a link in Music to this point. If you need automount…….I don't know how to, maybe with fluxbox. I want to give a genral hint about intel igpu of 2nd generation. They don’t run with the rt-kernel of ap-linux! Specifically I tested the i5-660 and the i3-540, both with Ironlake (Intel HD-grafics) igpu. The standard kernel is running, but with decrease of sound quality. Maybe somebody got experience with igpu from 3rd and 4th gen?! The 5th gen of intel igpu (lga1150) is running well, with noiseless video output. The igpu from 2nd gen are also noiseless. wouldn’t it be easier to make an .iso file ? Thanks Marko for the effort. I have a problem that has been bugging me for quite some time. The ntpd daemon is a bit of pain. Anyhow I finally got the right time on my machine, which will boot into Windows from time to time. But ntp has failed to sync time out of the box. ntpq -p always says “No association ID”. So I changed /etc/ntp.conf for the “server ” lines to use IPs directly. It then worked. However I can nslookup pool.ntp.org on xterm. Does anyone know why ntpd can’t resolve server name? In the meantime I will have to stick with IPs in my ntp.conf. Didn’t realize the Dell i3 and HP i7 laptops didn’t work with USB. I will check the BIOS later to see how to make it boot. It did boot up the USB but the kernal didn’t see sdb1. The config below works on any desktop. Updated: one of the USB on the laptop will work. My HP i7 got 3 USB ports. Tried each of them, and only 1 is working. Sweet…got it’s running. There is nothing to change in BIOS. I’m trying to work out how to install AP-Linux on a USB stick on my HP Mini running Ubuntu, which has no CD drive. The install instructions specify that I must have an optical drive. I looked at http://www.ubuntu.com/download/desktop/create-a-usb-stick-on-ubuntu which explains how to create a bootable USB stick using ubuntu, but it needs an ISO image of the OS to be installed, and there isn’t one available for AP-linux. I’m sure there has to a be a simple solution here, but as my Ubuntu knowledge is limited I’m stuck. Cn anyone point me in th right direction? You probably solved this ages ago. But for the sake of others who might have this question and are reading this, I just installed AP-Linux that way. (yeah first time user and already cant wait for next distro). So you need two usb drives, one for the ISO and one for the extracted zip file. If you are already in linux just install unetbootin. For ubuntu do ” sudo apt-get install unetbootin ” For ” fedora sudo yum install unetbootin ” Then ” sudo unetbootin ” choose the ISO option and look for the ISO you just downloaded (it is probably in /home/your_user/Downloads ) and create the bootable USB. Truly hope next version has an easier installer specially for dual-booting. The MD5 for V3.0 had error 404, and I have yet to find an MD5.txt for the new V3.1. Could you please update, thanks. Hey there, just installed ApLinux. After boot and some fail msg regarding Kill.server the Screen gets black. HpProBook 6550b i5 6GB Ram. Hi does your distrib run on something like this ? I plan to use an external dac. I don’t know. You have to try. I see you are doing the install on VirtualBox. I assume it is for demonstration purposes. Or does it run well enough on VirtualBox to forget about dual booting ? It’s just for demonstration. It runs really bad on Virtualbox. Forget about running AP-Linux on any virtual machine. Can I control AP-LINUX remotely, since when uploading new music to the hard disk I would like to do it from my MAC and not have to be connecting the monitor every time I want to do this? If this service does not come pre installed what would be the arch-linux tool to do this? Yes. You can use SSH. And any MPD client for playing music. I installed ssh, it’s impossible to me to connect to my AP-Linux. The message is “access denied”. I don’t understand ! I all tried ! Atheros ath9k to make it work, but (lspci -k) shows it is. This is the output when following the wireless install commands. Can someone give me a hand on what path I should take to resolve this issue. Barring that, is there an PCI or USB wireless card out there that has proven to be PnP with Arch Linux? Preferably one that supports USB 3.0 and 802.11 ac. Can I get instructions on how to remotely connect to the AP Linux desktop? For remote management I want to use PC with Windows 7. Could the author write an instruction on how to install a TeamViewer for this version of Linux. I updated firefox via pacman -S firefox. What can I do to lauch firefox again? Firefox breaks anyway. Same error I already reported.